Fun fact: Antarctica used to be a lush, tropical environment where giant beasts roamed the land— not quite the empty tundra that comes to mind when we usually think about the South Pole. And now L.A. is getting the bones (ok, technically the replica bones) to prove it. Dr. Nathan Smith, a paleontologist at L.A.'s Natural History Museum, was one of the few scientists who traveled there between 2010 and 2011 to bring back some undiscovered dino history. 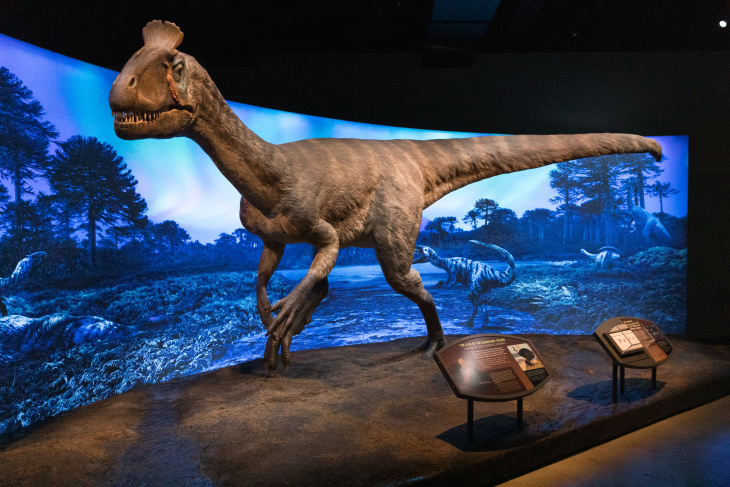 Antarctic Dinosaurs, an exhibition making its West Coast debut starting Wednesday at the Natural History Museum, goes through the history of Antarctic exploration — and the dinosaurs discovered there by Smith and his colleagues. "You're going to travel back in time," NHM President/Director Dr. Lori Bettison-Vargas told reporters at a press preview event. 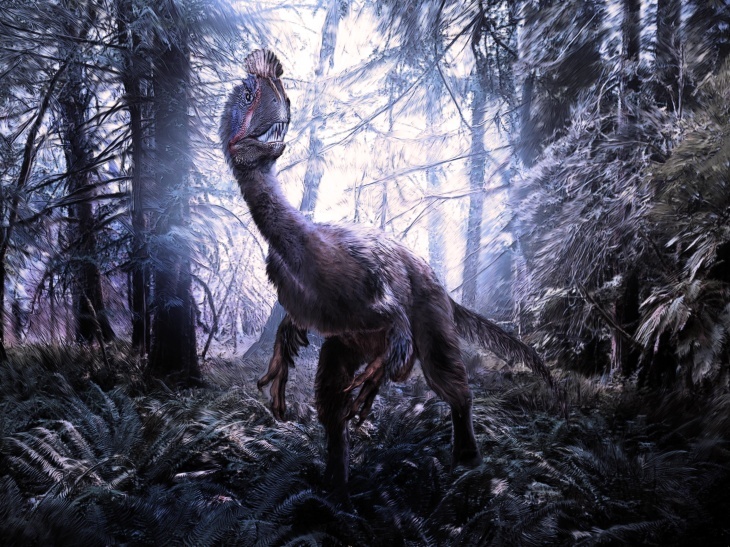 "People are going to discover something that they could never have imagined ever being true, which is this ice place that we know of today was a lush, forest environment with dinosaurs." Antarctica wasn't always Frostbite City. 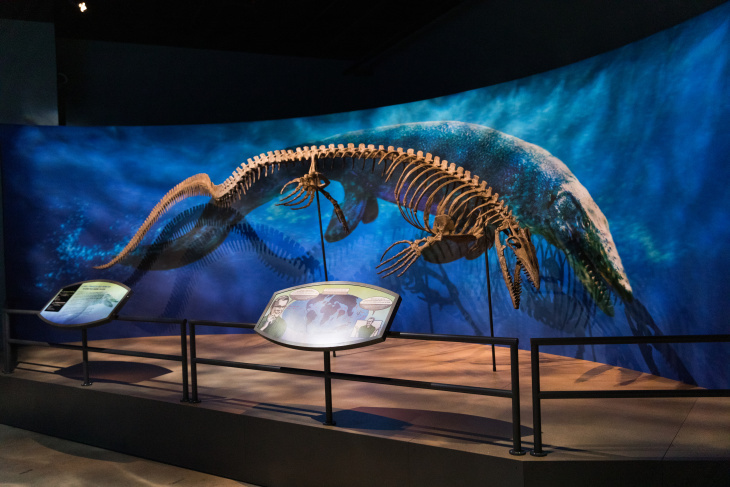 The focus of the exhibition is the expedition that Smith and the Field Museum's Dr. Pete Makovicky undertook in 2010-2011 in the modern, colder version of the area. They even discovered a new species of dinosaur. 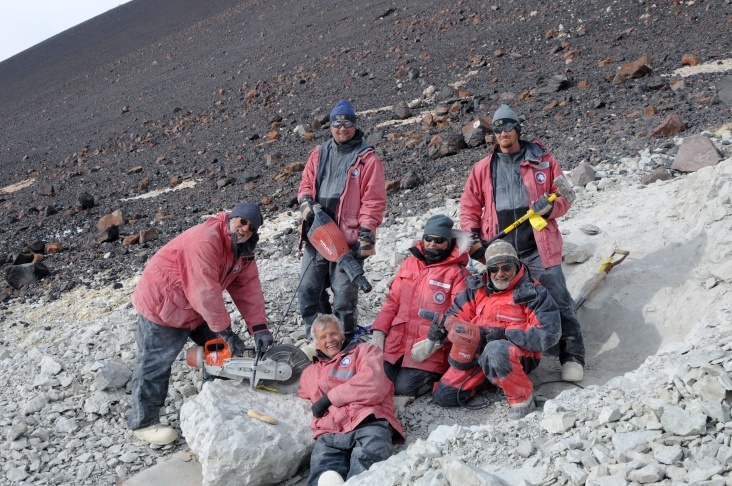 Their still-active dig site is on Antarctica's Mount Kirkpatrick, around 12,500 feet up, with temperatures getting down to -30 Fahrenheit. "It's a crazy place to work," Smith said. "We're trying to tell this as a story of Antarctic exploration, moving from a spirit of competition to a modern spirit of collaboration." When you enter Antarctic Dinosaurs, you start off learning about the human side of exploration. That includes a section highlighting 1912's doomed Terra Nova expedition, whose explorers were carrying scientific findings that were weighing them down — a decision that may have contributed to their deaths, according to Smith. The exhibition has items ranging from their supplies to a large sled used to carry their discoveries. 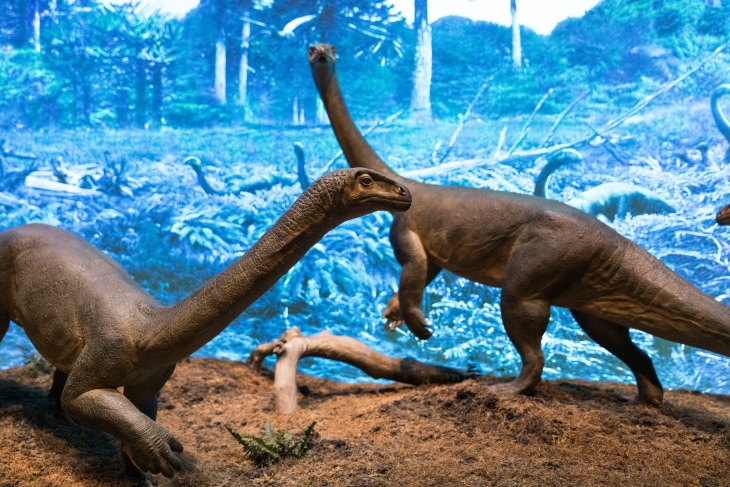 Two still-to-be-named sauropodomorphs, relatives of dinos like the Brachiosaurus and the Titanosaurus — but much smaller, with the smallest coming in at about the size of a Labrador Retriever. The exhibit also gets interactive, giving viewers a chance to handle the tools that scientists use when excavating in the Antarctic. Smith eagerly encouraged onlookers at a press preview to handle the items, including a jackhammer and an electric saw (don't worry, they were altered to be safe for all ages in a museum context). The research Smith's been part of has implications for climate change science — they hope their findings will show how mass extinctions and climate change affected the ancient polar ecosystems, and the animals who lived there. A big expedition like the one behind this exhibition happens about every seven years, Smith said, though he goes out on smaller expeditions every year. One go-to is Ghost Ranch, an hour north of Santa Fe, which Smith said is a great fossil site. Being out in the field is Smith's favorite part of the job. Then there's the paperwork. "A lot of the other work is sitting in front of the computer, writing papers, writing grants, teaching, mentoring students," Smith said. He also does a lot of work with the museum, including exhibits, classes, and more. 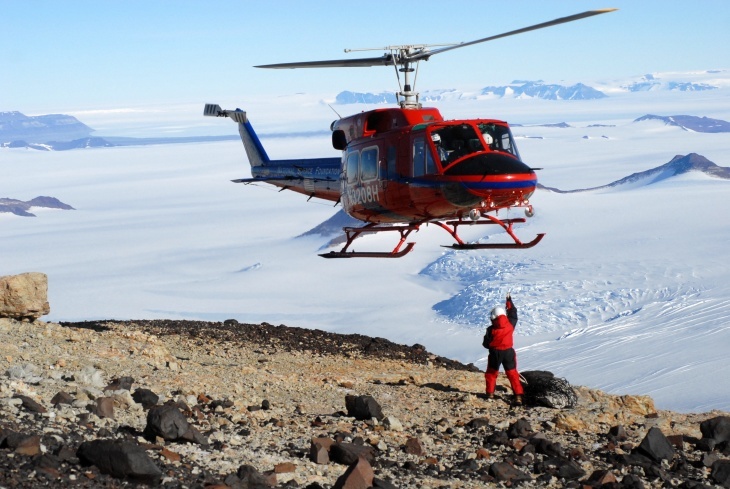 Expeditions like those to Antarctica are heavily dependent on resources from the National Science Foundation, and they're holding a meeting this fall to start the process for what comes next, Smith said. We hope that includes more dinosaurs. Smith's been with the Natural History Museum as an associate curator since 2015. He said that moving here from the East Coast was a big culture shock after growing up in Chicago and working as a university professor in Washington D.C.
"D.C. to L.A. was a bigger shock than Chicago to D.C., but it's grown on me quite a bit — and you can't argue with the weather," Smith said. It's definitely better than Antarctica. Antarctic Dinosaurs opens at the Natural History Museum on Wednesday and will remain in Southern California until early next January. Correction: Peter Braddock was misidentified in an earlier photo caption. LAist regrets the error.